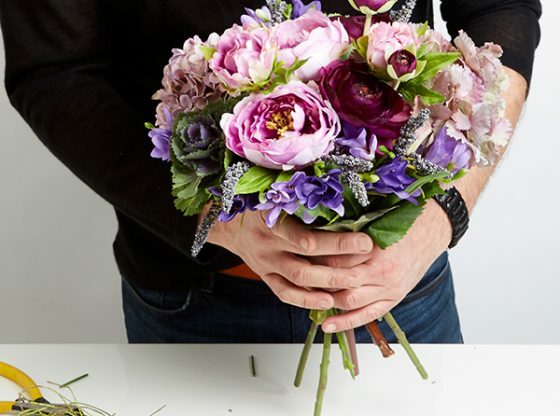 We love purple and all the lilac, violet, lavender, and plum hues that encompass this color, and the many purple flowers we can use in floral arrangements, and in this lush purple wedding bouquet. 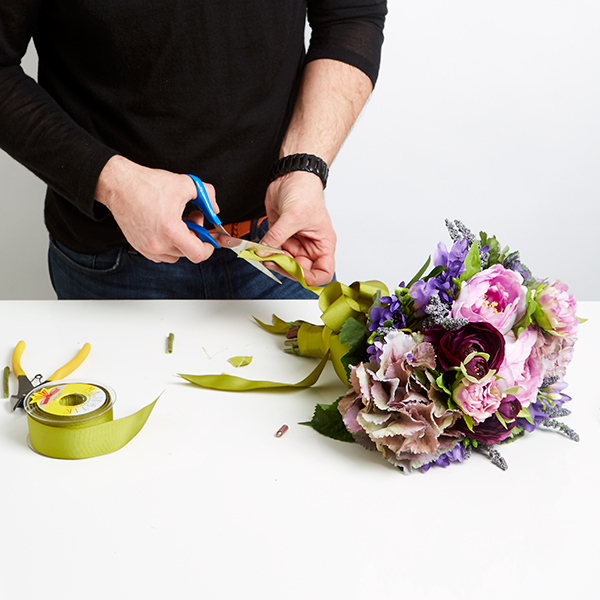 Follow the how-to below to create this purple bridal bouquet for yourself. 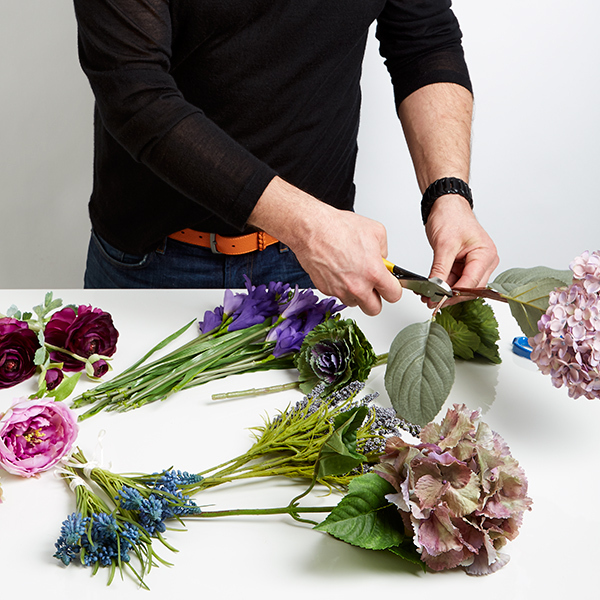 All you need is a mix of silk flowers, all available at Jamali Garden, floral wire, a wire cutter, and pretty grosgrain ribbon for the classic finishing touch. 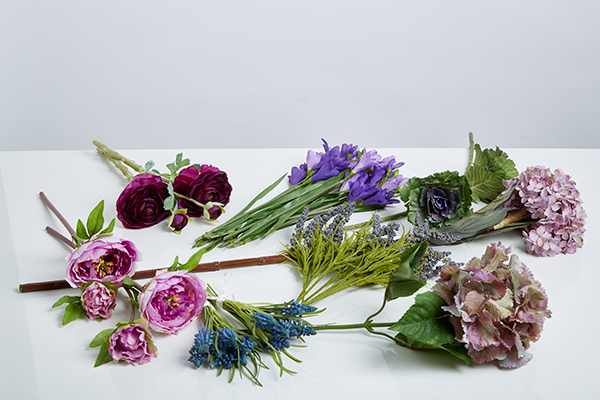 Hydrangea, peony, ranunculus, ornamental cabbage, lavender, and freesia silk flowers. 1. Cut long stems down to about 15 inches. Cut the freesia into single stems. 2. Except for the ones right below the flower, cut the leaves from the hydrangeas. 3. 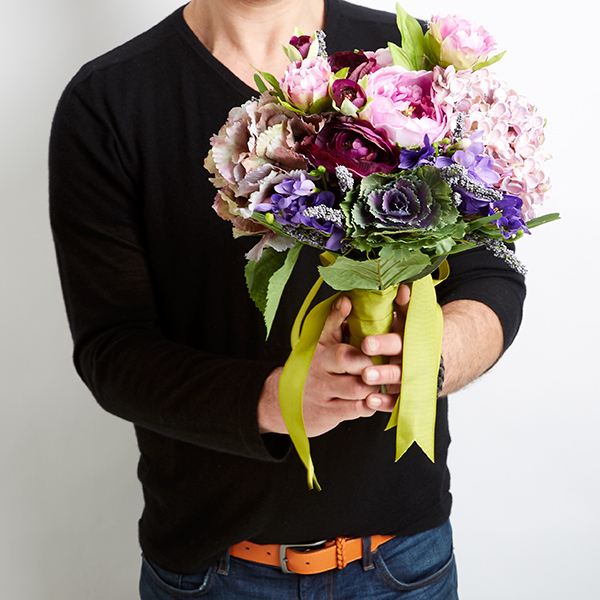 Start the bouquet with the two hydrangeas. Hold them tight in one hand. 4. 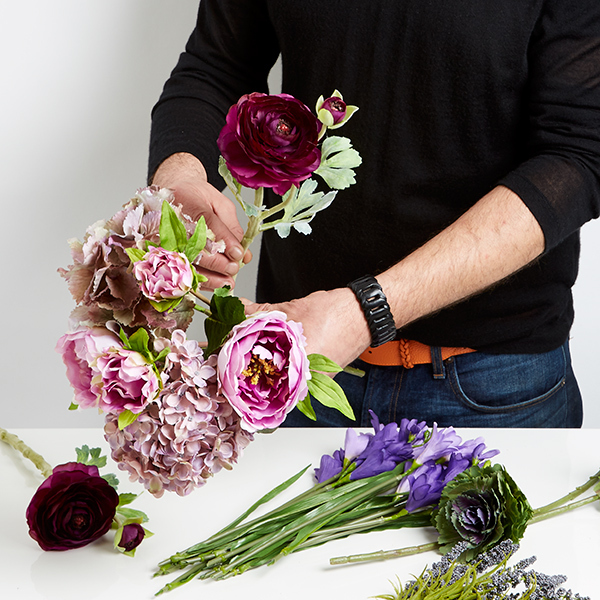 Add a peony stem, laying each stem in a spiral on top of the other stems as you add it. 5. 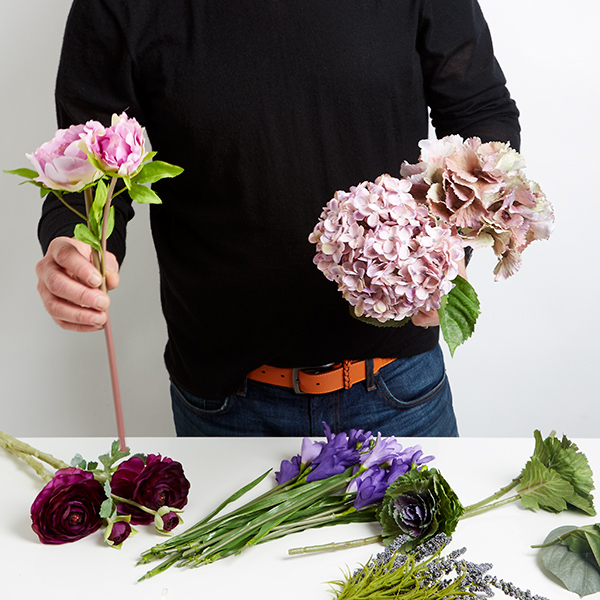 Add the ranunculus, freesia, and lavender, alternating them, continuing to lay them in a spiral, and finish by adding the ornamental cabbage. 6. 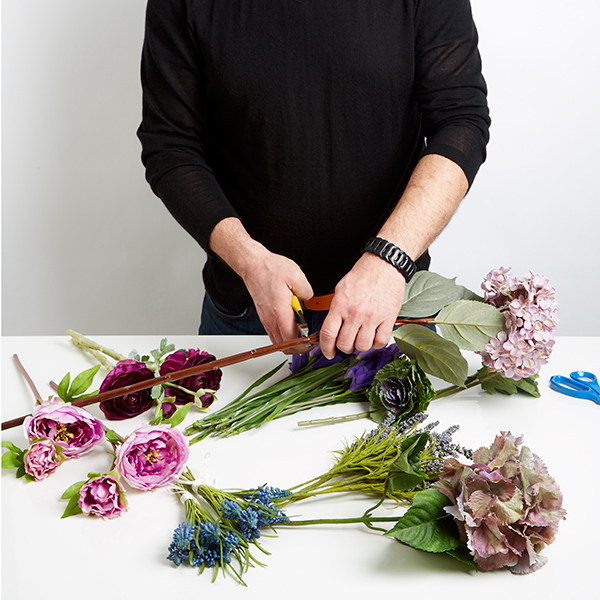 Tie the flower stems with floral wire. 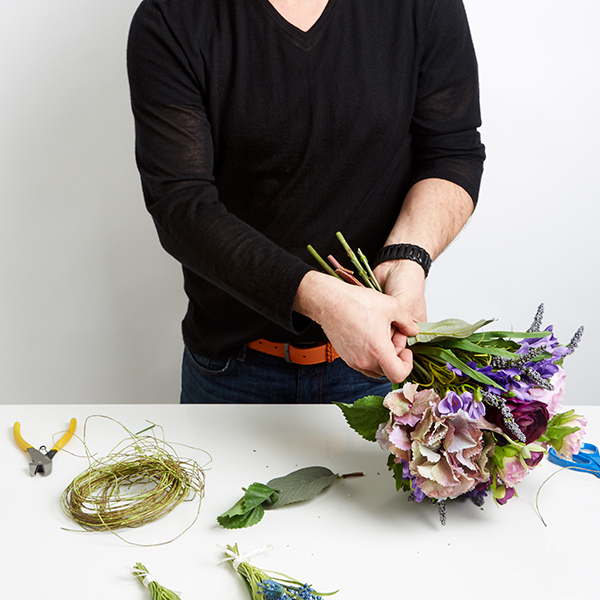 Add the hydrangea leaves just below the flowers and secure them with wire. 7. 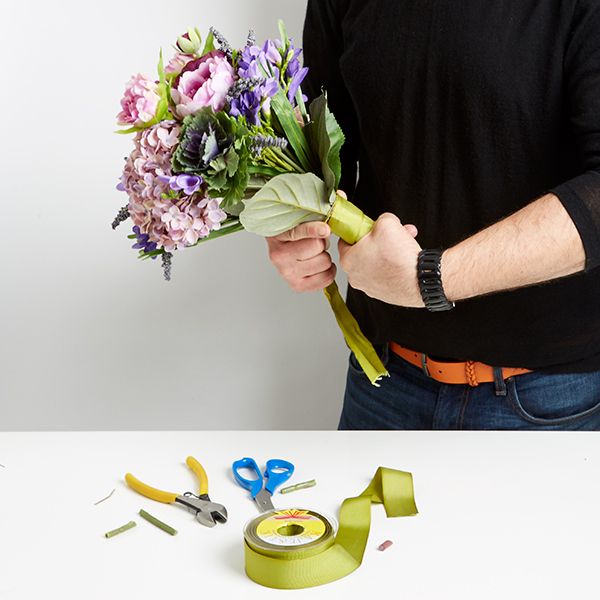 Wrap the stems in ribbon. Split and tie the ribbon around itself, or secure it with another piece of wire. Cut all the flower stems to across the bottom, just about 1 inch below the ribbon. 8. 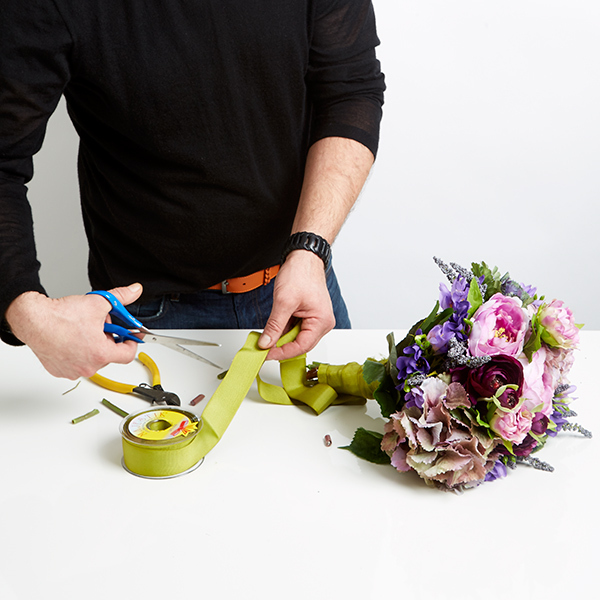 Cut another length of ribbon to tie a bow on the bouquet. 9. Tie a double bow around the stems. Fold the end of the ribbon onto itself, about 2 inches. Cut at a diagonal across the fold to create fishtails. 10. 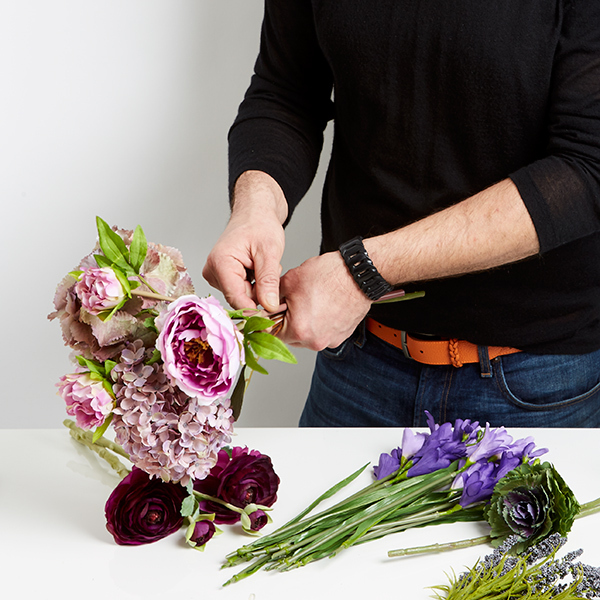 Fluff your flowers and make any small adjustments to make sure your bouquet looks full and the flowers cluster nicely together. And your purple wedding bouquet is done! 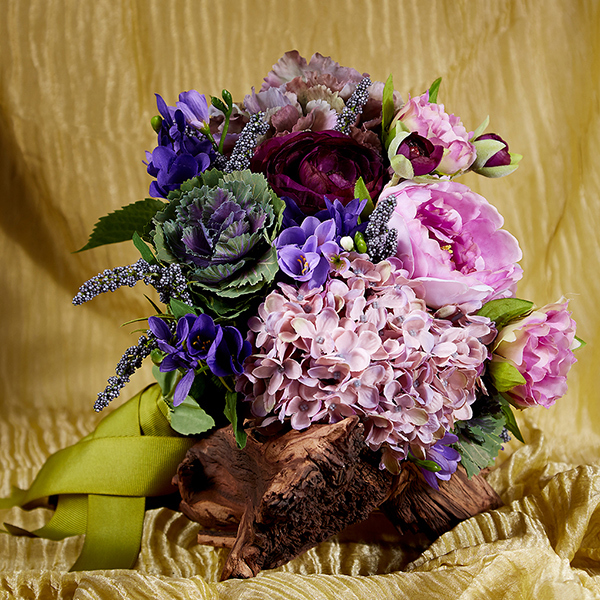 This beautiful, purple, silk flower bouquet can also be a pretty arrangement for a wedding centerpiece or accent. Pair it with this antique rust white urn; as you can see, they’re a perfect match. 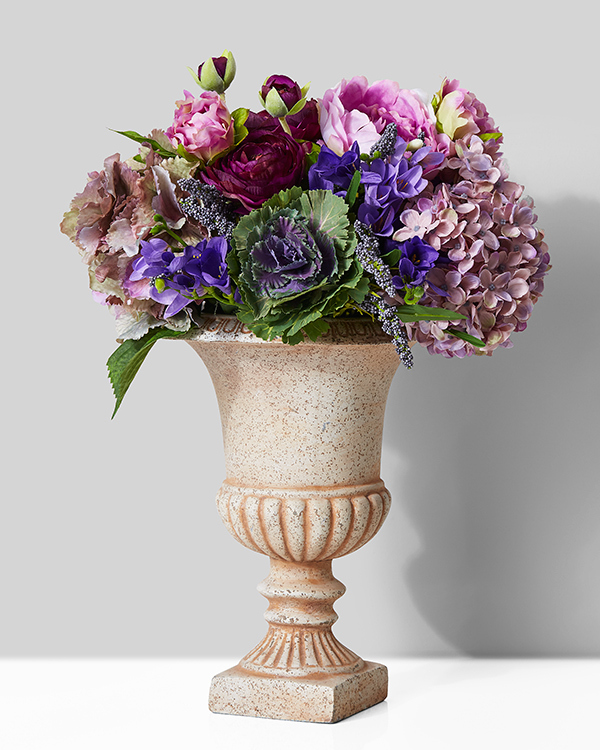 The bouquet as a centerpiece in a classic urn.